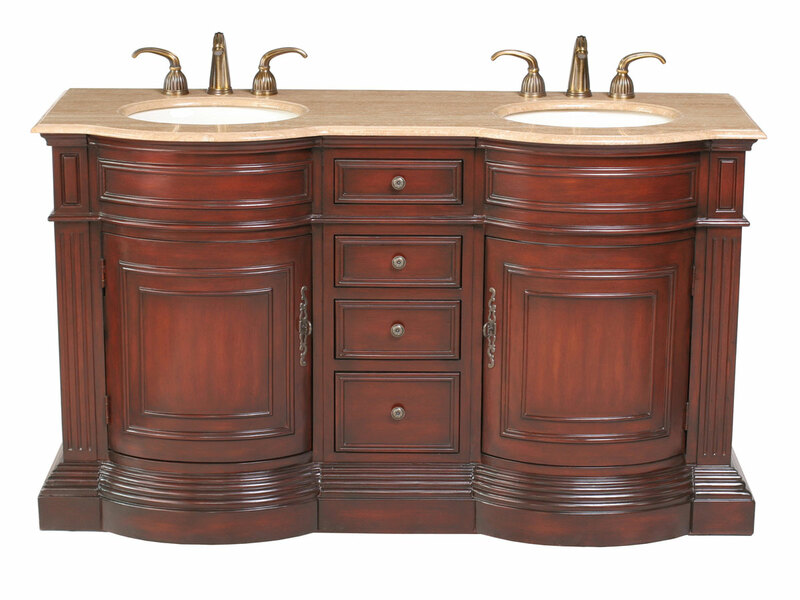 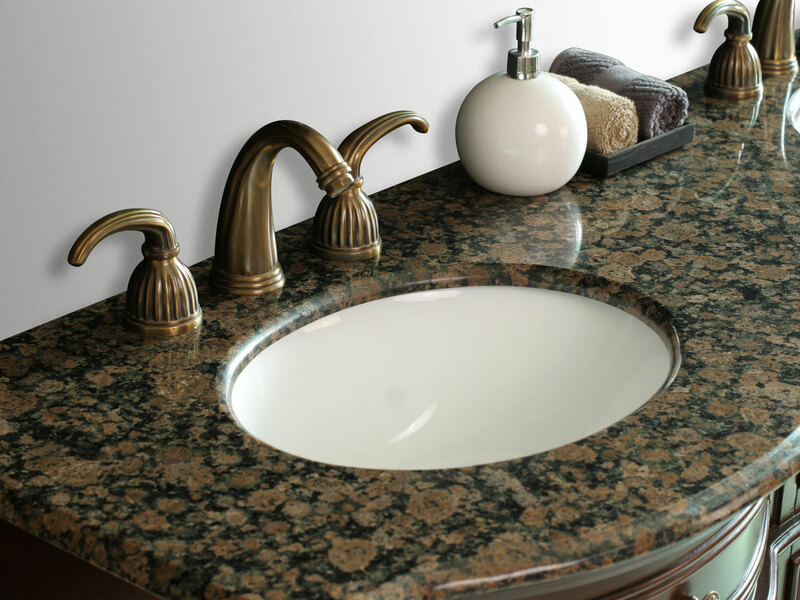 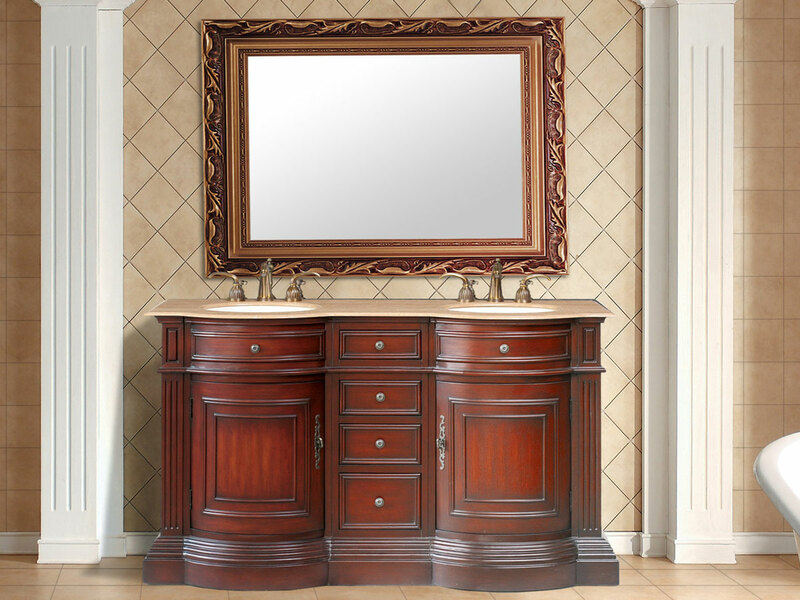 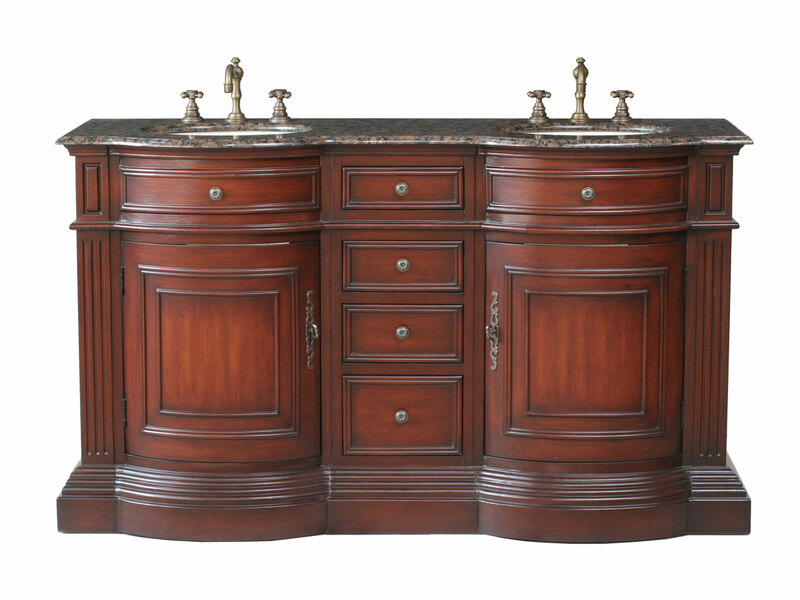 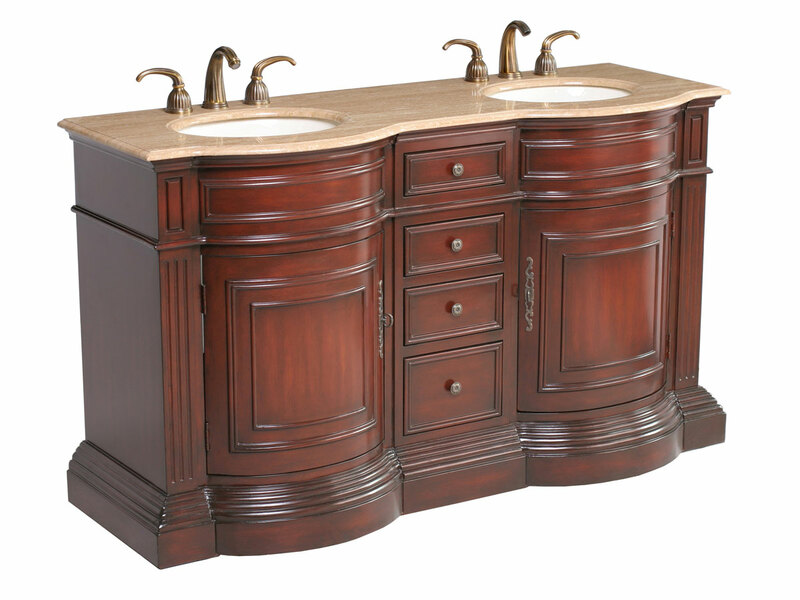 The 62" Taft Double Sink Vanity is regal and rich in antique style. 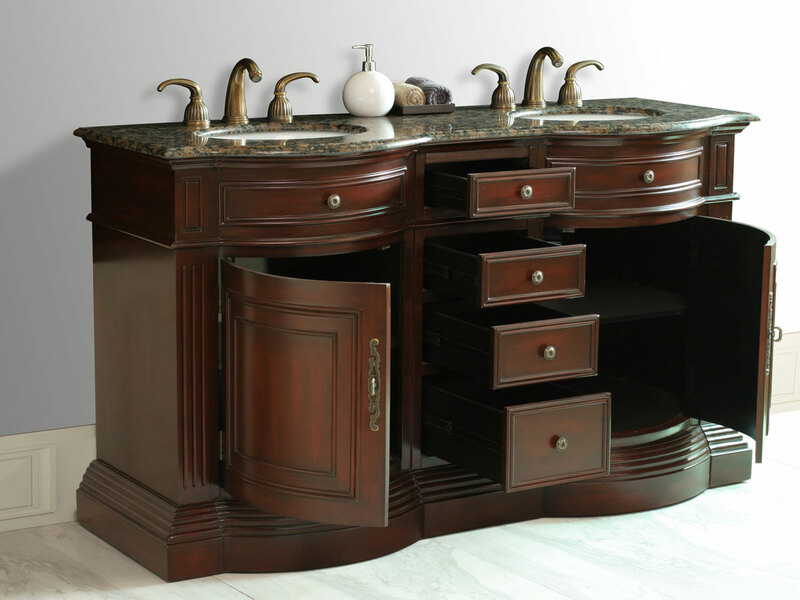 The drawers, borders, and cabinet doors feature beautiful beveling that catches the eye. 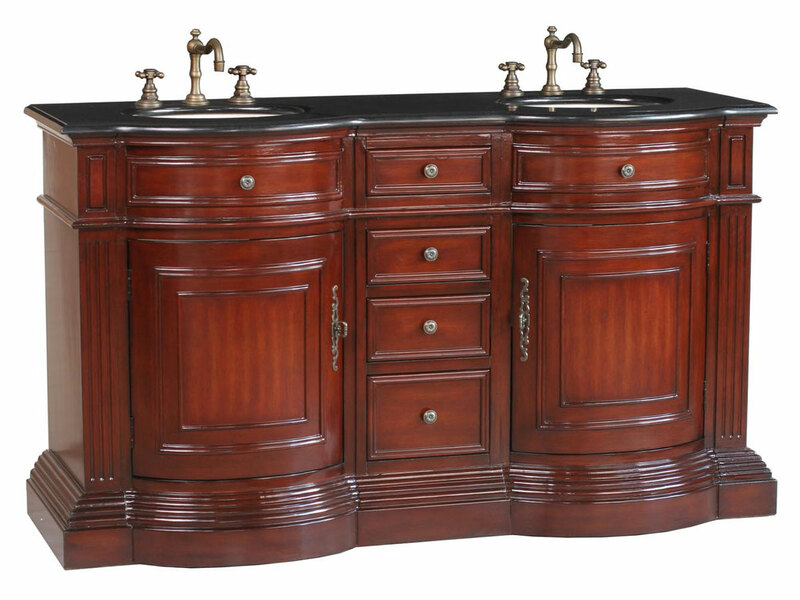 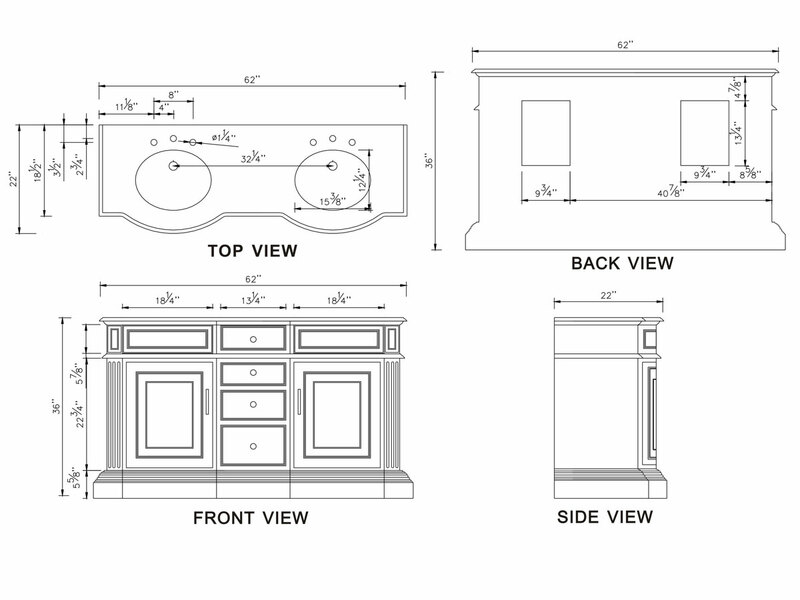 Its rounded cabinets only add to its grandeur. 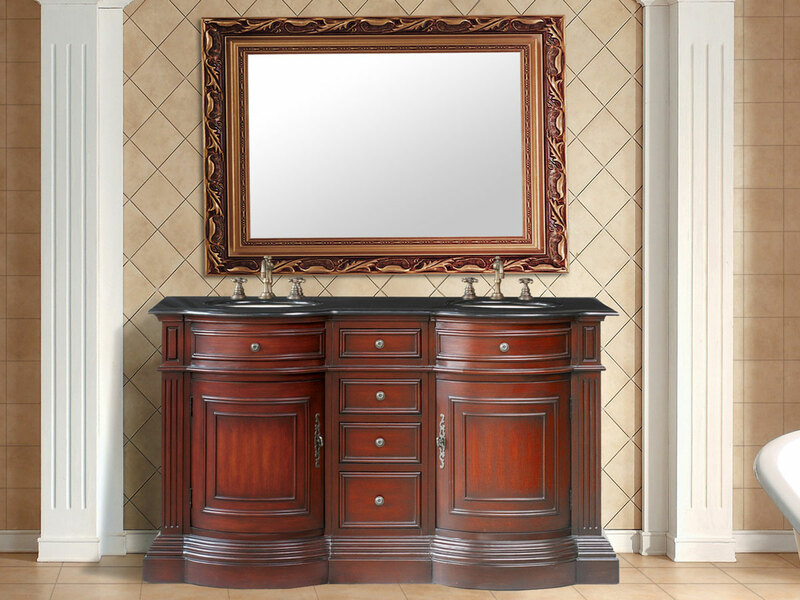 The warm cherry finish makes this an attractive addition to any bathroom. This vanity is bold and never boring. 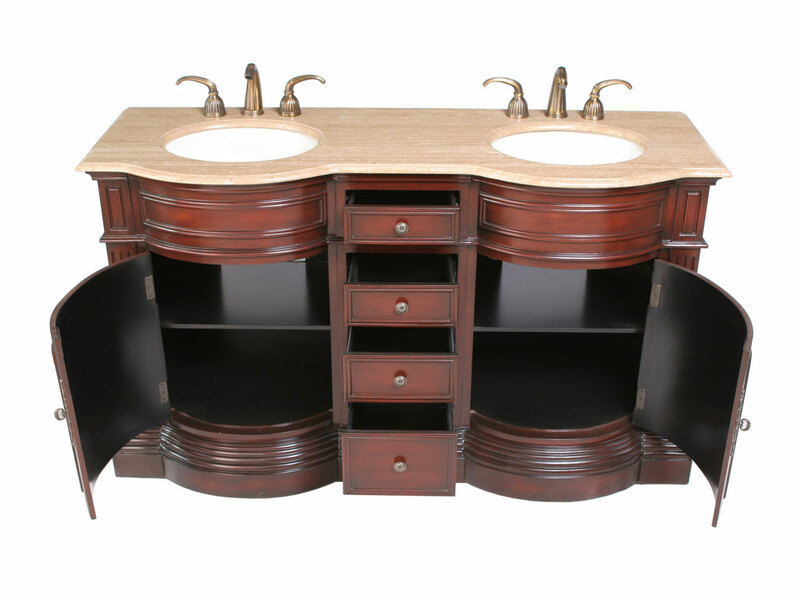 Available with a Baltic Brown, Black Galaxy, or Travertine Top.